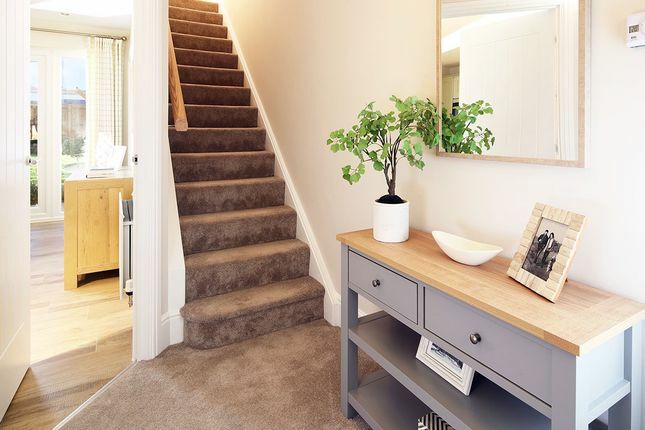 With the four bedroom detached Marlow, no one has to compromise on space, because there is room to spare for everyone. 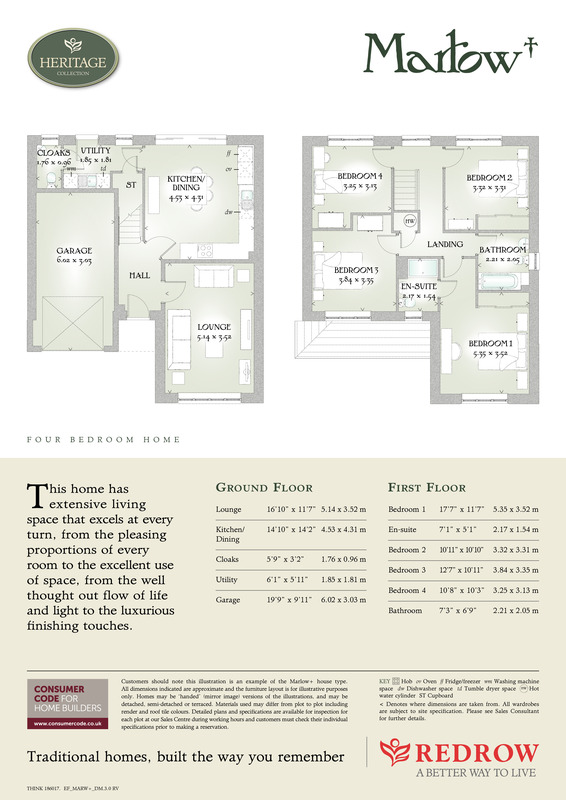 Each of the four bedrooms is large enough for a double bed, or a single with lots of space to spare for the kids. The master bedroom has an en-suite shower room, finished to the finest standards with high quality fixtures and fittings that reflect the overall quality of this executive home. Downstairs has a generous open plan kitchen / dining room filled with light and life from the double width patio doors. The heart of your home, this space also has a separate utility with convenient exterior access and downstairs cloaks beyond. There is also an impressive lounge downstairs, with room for all the family, as well as an integral garage. Outside, the incredible attention to detail continues, from the decorative roof finial to the smart brickwork detail, adding real kerb appeal. Well-proportioned and built to the very highest standards, the Marlow is a first class family home.